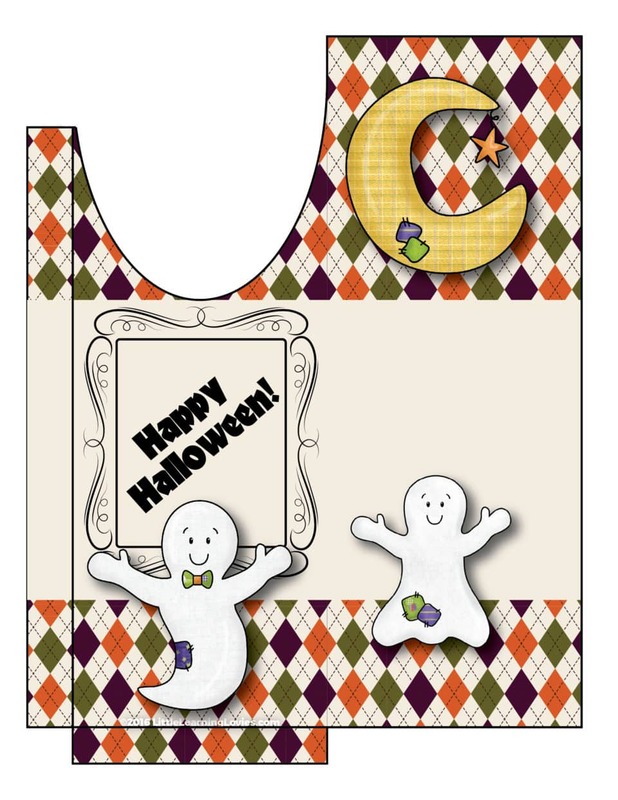 » Halloween Printable Goodies Just Turned Up at Little Learning Lovies! Every year for Halloween, we try to make sure we have things to give out that are NOT candy. 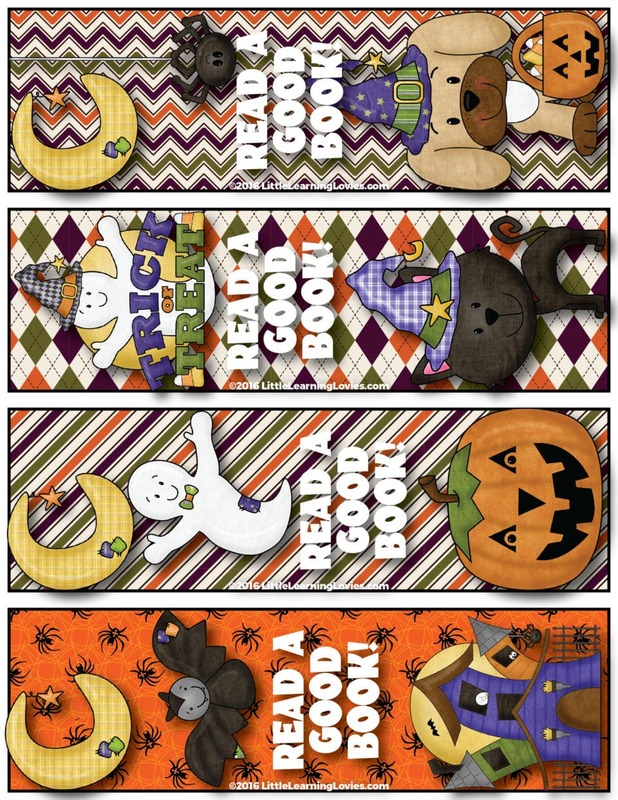 Our corner bookmarks have been a favorite for the past few years, but we really wanted something new and fun for this year. 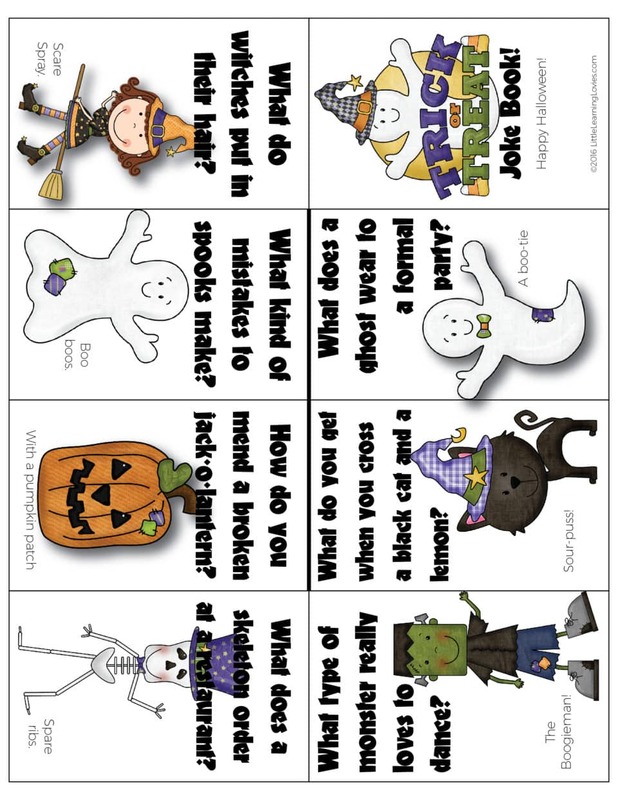 We are excited to share this Halloween Printable Goodie pack with you, too! 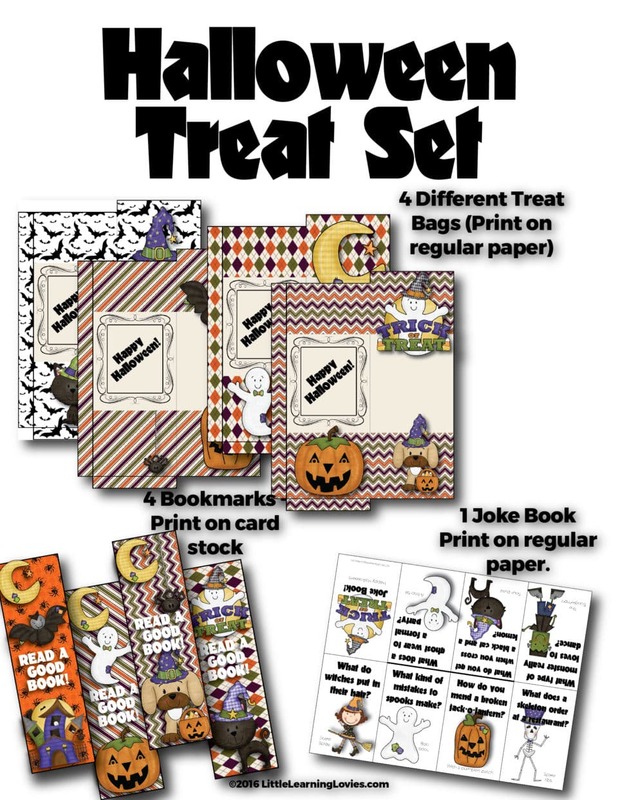 The printable file includes 4 different goodie bags, 4 richly designed book marks and an absolutely hilariously goofy halloween joke book! Print these on plain paper. It won’t take long at all to cut them out and glue them up. 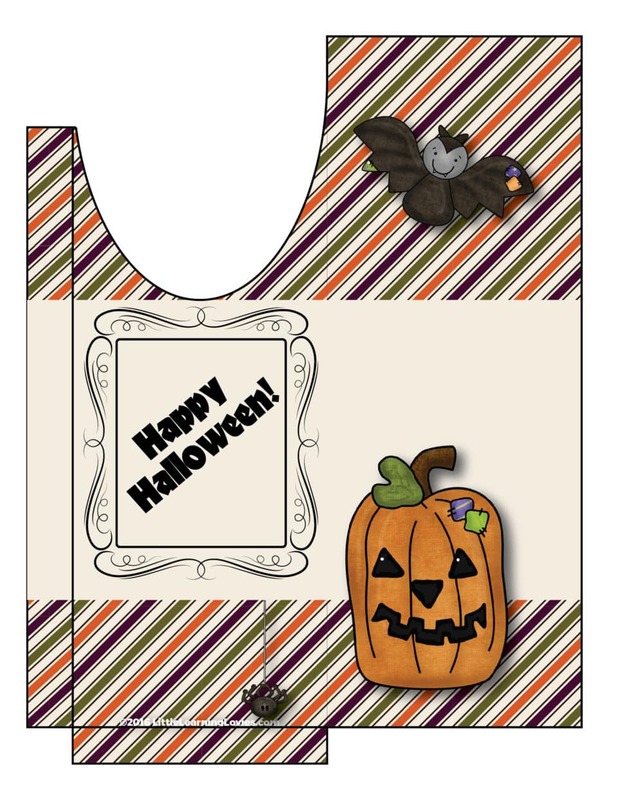 In no time, you’ll have a stack of adorable goodie bags that literally cost you pennies each. This one is slightly more complicated because if you’ve never folded an 8-page mini book before, you’ll need to learn how (it’s easy!). Once you know that, though, these become very fast to make and the use just one sheet of paper each! COMING SOON : Our video on how to fold an 8 page mini book! 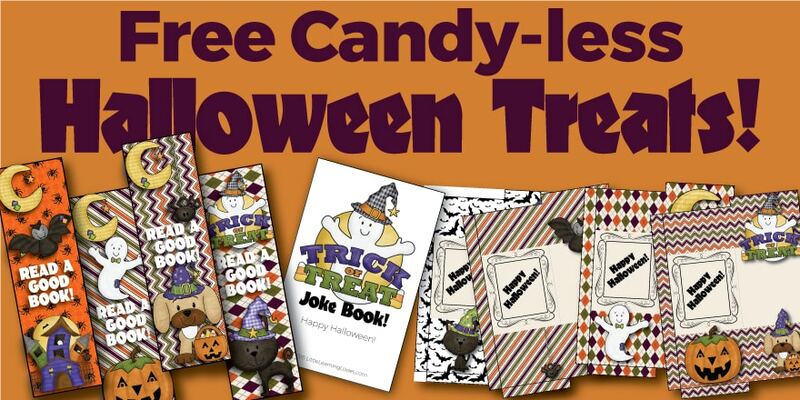 FREE Just in Time For Halloween!